Despite Venezuela’s failing regime, the South American country boasts the world's largest proven oil reserves but for years it has been considered a rogue member of the OPEC (Organisation of the Petroleum Exporting Countries) family. With crude oil production steadily declining in recent years, the country is grinding to a halt as the lingering effects of an economic crisis caused by years of government mismanagement have been further compounded by a recent slump in the price of oil. The IEA report: "Within the OPEC countries, the biggest risk factor is, and will likely remain, Venezuela. The warning follows news that crude production from OPEC countries fell to a 10-month low in February, mainly due to maintenance at a field in the United Arab Emirates and continued output declines in Venezuela. Venezuela’s output dropped by 30,000 barrels a day to 1.68 million barrels in February and the country’s slowdown is a big part of the reason for OPEC’s stellar implementation of promises to curb production. Venezuela is suffering from years of government mismanagement and its industry is suffering from a lack of investment while the further threat of US sanctions have sent output to the lowest since the 1980s. 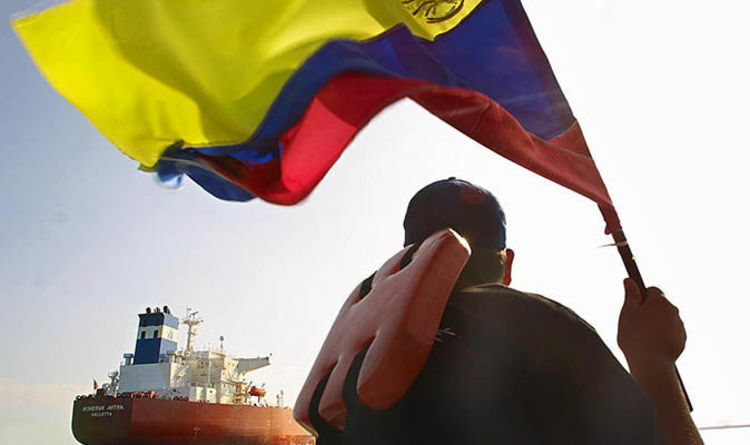 Oil remains critical to the Venezuela’s economy and accounts for 96 percent of export income. The fall in production means even less crude available for sale, intensifying the already-dire economic situation that has caused rioting in the streets and raised calls for the impeachment of Venezuelan President Nicolás Maduro. Dan Yergin, energy expert and vice chairman of IHS, told the media during the Davos conference this year that Venezuela is a just “teetering on crisis and falling apart”. Mr Yergin described Venezuela’s economy as, “a disaster”. He said: “The oil industry is now run by a general who knows nothing about the oil industry.